Checked archives,but has anyone installed and if so what model numbers. Getting different suggestions from 3 vendors. Were you satisfied with them. Before buying my PC, I was hot and heavy on researching Tiffin gassers, and will again reference my pursuit here. I was on, and still on, every Tiffin Facebook page and learned a lot about the Ford chassis, albeit different than the E450. Almost without fail, everyone who added Sumo Springs were satisfied and mostly pleased with the results. Tiffin now offers the Sumo Springs on their build sheet. I'm thinking PCUSA would add Sumo Springs to a build if requested(?). I didnt order any chassis mods because I wanted to experience the stock chassis ride; I am pleased. I will add that, IMHO, many of the Tiffin owners are a bit quirky. This quirkiness may come from inexperience (we were all inexperienced at one time). Seems that people who are new to RVing are flocking to Tiffin. The Ford Transits have a very low to ground rear end when used as a chassis for an RV. 20-30 Fuse Forum members have installed Sumo Super springs in varying configurations to raise the height. 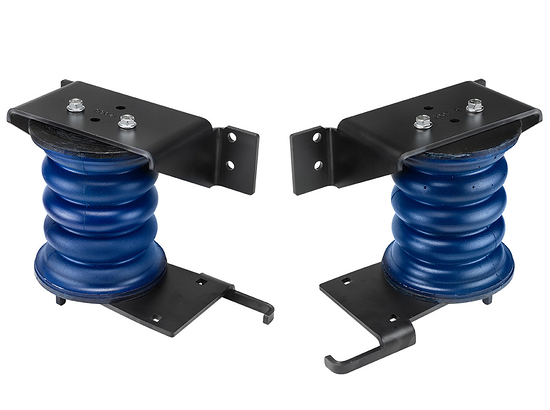 The Sumo coils alone will raise the height 1.5"-2.0''. Combined with the Sumo leaf spring 3"-4". The secondary benefit is ride improvement. Now the Transit is considered the best handling and riding chassis currently on the market. Owners have said that the Sumo's have made it even better. There has not been a negative comment on the Sumo's after installing. Several of the true class B vans like the Coachmen Crossfit are including the Sumo's as standard equipment on the Transit. Installation cost seem to range from $500-$800 depending on the configuration.